Resource becomes a major issue (and causes sleepless nights). You don’t have enough time in the day to keep up with everything you need to do, and you’re worried about stretching the business financially in case the boom doesn’t last. This is the situation NJS Scaffolding found itself in. The company had established a reputation for quality and service, and had expanded steadily. To meet customer demand, the company was constantly having to buy new equipment, which put pressure on cash flow. The company directors knew there had to be a better way to manage the situation, so they got in touch with us to discuss equipment financing. The company was having to tie up lots of working capital in equipment, which limited how flexible they were. With a hire purchase arrangement, NJS could pay in fixed instalments, keeping working capital in the business and making cash flow easier to manage. Plus, the payments would be tax deductible, helping reduce the company’s tax liability. Because there’s no big upfront outlay with hire purchase, the equipment would start generating profit straight away, essentially paying for itself. Over 24 months, we financed 5 deals totalling more than £300,000 for scaffolding on a hire purchase basis. They’re generally for 18-month terms and run concurrently. As a result, NJS has a single payment covering all scaffolding, and at the end of each period they own the equipment. Once a term ends it’s easy for them to start a new agreement, so the business consistently has the right amount of equipment with predictable and manageable payments. We’ve also helped NJS finance its fleet of more than 40 company vehicles, including cars, vans and lorries, and can usually turn deals around in just 3 days. 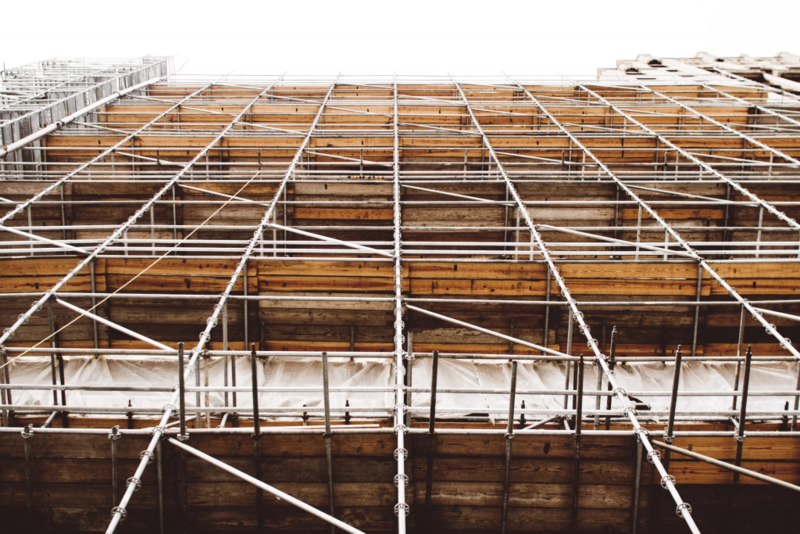 Companies don’t traditionally finance scaffolding, and it’s not something that’s normally undertaken by banks. However, after speaking with NJS, I could see it was something we could achieve. And sure enough, we found that there’s a market for financing scaffolding, and NJS’ business has been transformed as a result. If you take away one lesson from this article, it should be this: always explore your options. Just because people usually buy things outright doesn’t mean there isn’t a better way of doing it, one that could save you a lot of time, stress, hassle and tax. So whether it’s software, office equipment, construction materials, industrial plant, machinery, catering equipment, fitness equipment, security systems – always ask: what financing options are available? So the next time you’re considering a purchase, give us a ring on 01827 300 339 or send us a message using this form to see how you can reap similar benefits to NJS Scaffolding.